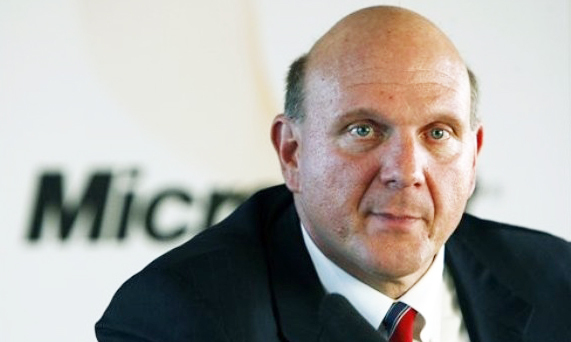 Ballmer hinted in the memo for his abrupt leaving announcement, and in subsequent interviews, that the timing for his exit wasn't his choice. Asked if it was a sudden decision in an interview with ZDNet, Ballmer said: "I would say for me, yeah, I've thought about it for a long time, but the timing became more clear to me over the course of the last few months." Picking (I've Had) The Time of My Life as his sign-off song, Ballmer choked back the tears to tell the equally emotional audience, "Microsoft is like a fourth child for me. Children leave the home, but I guess in this case I'm leaving the home." His emotional reaction and speech again suggest that Ballmer's Microsoft exit isn't of his own volition, although this isn't the first time Ballmer has had emotional outpourings on stage. BlackBerry has signed preliminary paperwork with a consortium of equity companies that could lead to the company going private, reports the Globe and Mail. Fairfax Financial Holdings has cobbled together a handful of companies and offered $9 per share for BlackBerry, valuing the smartphone maker at about $4.7 billion. "BlackBerry has fallen on hard times recently, but we have every confidence it will be successful again," said Fairfax CEO Prem Watsa. "We're trying to make sure it remains in whole in Canada. We're looking at any possibility for the good of the company, its customers and its employees." BlackBerry announced that it is exploring strategic options for the business following poor adoption of its BlackBerry 10 platform. BlackBerry has released an official statement in regards to the BBM for Android and iOS delay, below you can read the statement from BlackBerry. Prior to launching BBM for Android, an unreleased version of the BBM for Android app was posted online. The interest and enthusiasm we have seen already more than 1.1 million active users in the first 8 hours without even launching the official Android app is incredible. Consequently, this unreleased version caused issues, which we have attempted to address throughout the day. When the Apps go live be sure to follow the links for a direct link to the Google Play Store and iTunes App Store download page. Nestle Germany's Facebook account for Kit Kat has been taking full advantage of the increased traffic this Android partnership is getting it, and has been posting all sorts of teasers for the upcoming platform release. Of course, that’s going to attract as many smartphone fans as candy fans, and the company’s been fielding comments from both. In response to a query about the software release, Nestle posts through this Kit Kat account that "Android 4.4 KitKat will be available in October". Google has announced, starting today we’re making Quickoffice for Android and iOS available for free, for everyone. With Quickoffice, you can edit Microsoft® Office documents across your devices, giving you the freedom to work with anyone no matter what hardware or software they’re using. Plus, it’s integrated with Google Drive storage so you can safely access your files from anywhere. Also, if you sign in to your Google Account from the new Quickoffice app for Android or iOS by September 26, 2013, you'll get an extra 10GB of Google Drive storage for two years, which will be added to your account in the next few weeks. BlackBerry has confirmed that it will release BlackBerry Messenger for Android and iPhone later this week. The BBM for Android app is expected to be available starting at 7:00 a.m. Eastern on Sept. 21, while BBM for iPhone will hit the App Store at 12:01 a.m. local time on Sept. 22. BlackBerry notes that BBM for Android will require version 4.0 or higher. BBM for iPhone will be available to users on iOS 6 and iOS 7. BBM gives you a private social network for active, real conversations and it has more than 60 million customers on BlackBerry alone. The overwhelming majority use BBM an average of 90 minutes per day. BBM customers collectively send and receive more than 10 billion messages each day, nearly twice as many messages per user per day as compared to other mobile messaging apps. Messages on BBM are typically read within seconds, reflecting how truly engaged BBM customers are. It’s immediate. BBM is always on so you are always connected. And because messages on BBM are typically delivered and read within seconds, it’s the closest thing to a live conversation. You trust it. BBM always tells you that messages are delivered and read. BBM conversations come alive on a private network you can count on. You control it. BBM allows you to choose your contacts and how you share your information. BBM uses a PIN so you don’t have to give anyone your phone number or email address. Update: You can now download and install BBM for Android by following the link. However BBM will not finish the setup process but will allow you to download and install on your device. We'll keep you posted on details. Sprint has acquired Handmark, reports AllThingsD. Handmark is a mobile app and services company perhaps most well known for its Pocket Express app for Palm smartphones. In recent years, Handmark has turned toward mobile advertising, and it is this expertise that attracted Sprint's attention. "As a long-time partner of Sprint, we've worked together on some of the mobile industry's most successful initiatives," said Handmark founder and CEO Augie Grasis. "Joining forces is a natural progression to our relationship and will help scale our mobile media business." Sprint will put Handmark's assets to use with its Pinsight Media advertising unit. Google today launched an iOS version of its mobile payments app. The official Google Wallet app is now available for download in the App Store, complete with many of the same features included with the recent Android app update. Once installed, the Google Wallet app for iOS allows users to send money to other people with a valid email address, add loyalty cards and offers to the app and scan credit and debit cards that can then be used to send money and make online purchases. Google Wallet requires iOS 6 or later and is compatible with the iPod touch, iPhone and iPad. "Our mission at Bump has always been to build the simplest tools for sharing the information you care about with other people and devices. We strive to create experiences that feel like magic, enabled behind the scene with innovations in math, data processing, and algorithms. So we couldn’t be more thrilled to join Google, a company that shares our belief that the application of computing to difficult problems can fundamentally change the way that we interact with one another and the world." Bump says it uses “math, data processing, and algorithms” to allow users to share data wirelessly through its mobile app, but didn’t share how Google might take advantage of the technology. Lieb confirmed that Bump, and the company’s photo sharing app Flock, “will continue to work as they always have for now; stay tuned for future updates. The Galaxy Gear will launch globally September 25th for $299. Sprint will begin carrying the Moto X smartphone beginning tomorrow (Friday, September 6th), the company announced today. The phone will come in either black or white, and it will cost $199 from Sprint. Improved customization for the Moto X is available via AT&T, but Sprint says that it will support Moto Maker in the coming months. Sprint says that customers that switch to Sprint (and port their phone number) from another carrier will get the phone for $99. 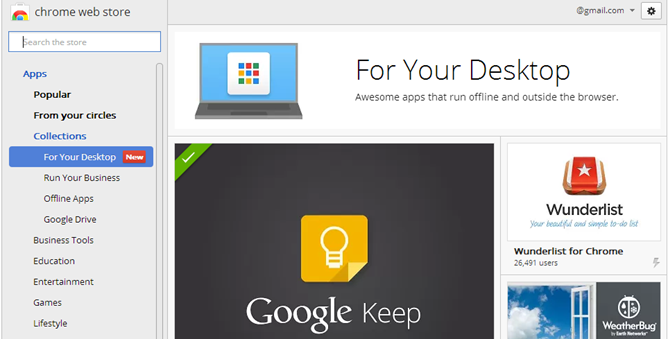 Chrome has offered ‘Apps’ bookmarks to web pages for Mac and PC users for a awhile. There is even a Chrome App store. Today Chrome is getting serious about desktop apps. In a post on the company’s blog, Google says that improved access to the computer, including USB/Bluetooth, full screen mode, desktop notifications, less ‘chrome’ (Tabs, bookmarks, browser bar, etc) and power off features will make the Chrome apps act more like real apps. So real, in fact, that most people won’t be able to tell the difference. Today Google is unveiling a new kind of Chrome App, which brings together the speed, security and flexibility of the modern web with the powerful functionality previously only available with software installed on your devices. (Think apps designed for your desktop or laptop, just like the ones for your phone and tablet.) These apps are more powerful than before, and can help you get work done, play games in full-screen and create cool content all from the web. If you’re using Windows or a Chromebook, you can check them out in the “For your desktop” collection in the Chrome Web Store (Mac & Linux coming soon). Google announced its upcoming Android 4.4 KitKat software update. In line with the announcement, Google posted a video that shows the unveiling of the KitKat statue at the company’s headquarters. At about 38-39 seconds into the video, a Google employee is seen taking photos or video recording the statue with an unknown Nexus device. The backplate seems to be that found on the new Nexus 7, and the camera lens appears to be larger than the current generation LG Nexus 4. Apple has just sent out invites for their September 10th event, scheduled for 10 AM PST, via The Loop. Apple is hosting the event on campus in Cupertino. The invite reaffirms expectations that Apple will launch two new models of iPhone for the first time, dubbed the iPhone 5S and the iPhone 5C. As indicated by the numerous case leaks over the last few months, the iPhone 5C is expected to be available in a variety of colors. 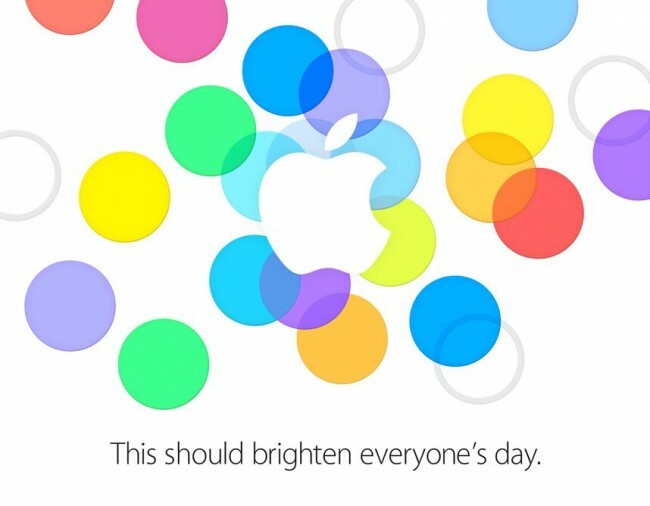 The invite seems to back this up, showing many different colored dots and uses the strapline “This should brighten everyone’s day”, which is another inference to different colors. Apple will announce the official launch dates for these new devices at the event. Apple’s behaviour in the previous years would suggest that the new iPhones will be available to buy on the 20th September, two weeks after their announcement. 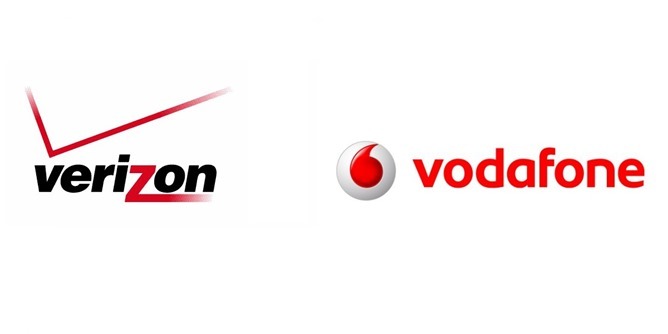 On Friday, we reported that Verizon is blocking employee vacations between the 18th and the 22nd of September, a very good indicator that new iPhones will be released in this timeframe. Android 4.4 To Be Named "KitKat"
Google’s SVP of Android, Sundar Pichai just announced over 1 billion Android activation's and the name of the next Android operating system on Twitter. Android 4.4 will be named after the Nestlé KitKat bar. A giant “chocolate” Android statue has also appeared alongside the previous Android mascots on Google’s campus. As far as the changes in Android 4.4, Google says they are trying to “make an amazing Android experience available for everybody,” but so far there’s no indication of what that actually means. To celebrate, Nestle and Google have teamed up to giveaway a Nexus 7 and Google Play Store credits in specially-marked Kit Kat bars. The Samsung Galaxy Gear unit found itself in the hands of Venturebeat who got to spend some time with the smartwatch and spilled some beans about it along the way. What you see above is a snapshot of a Galaxy Gear promo video, as the media wasn't allowed to take photos of the actual prototype it had. Anyway, the display of the Galaxy Gear is 3" in size and is of the OLED variety. The screen is square, but sadly its resolution wasn't disclosed. 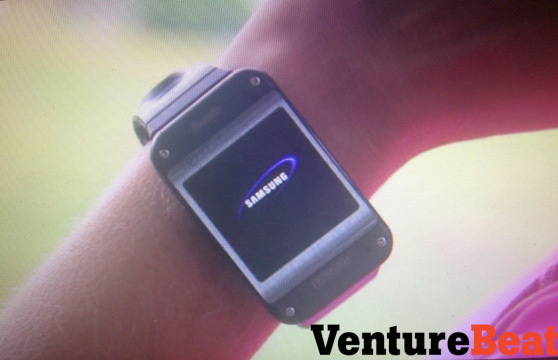 The prototype Galaxy Gear itself is colored in dark gray and black and sports built-in speakers in the strap. Naturally, there'll be more colors on the way, but they weren't detailed. On the top side, there's also a 4MP camera, which is used to record health data as well as taking pictures. There's a special piece of software which recognizes if the food is fat or contains grains. The Samsung Galaxy Gear is going to be able to receive voice commands through the S Voice app. Thanks to Bluetooth and Wi-Fi, the smartwatch is able to connect to other smartphones, too. This allows it to sync call logs giving you the option to initiate a call from the watch to a Samsung smartphone. Wi-Fi connectivity also means social media integration with Twitter and Facebook. Venturebeat reports the Galaxy Gear's battery is going to be good for up to 10 hours. The battery capacity wasn't disclosed, but from the photos you can clearly see that the Gear is going to be quite big. Microsoft announced yesterday that it has reached an agreement to acquire the Devices and Services division of Nokia for approx. $7.2 billion. Microsoft will also gain the Lumia and Asha brands, as well as Nokia's patent licensing agreement with Qualcomm. Nokia will continue to exist as a separate company, focusing on networks via its NSN division, mapping via its HERE division, and and Advanced Technologies division. Nokia will retain its brand and patents, but license them to Microsoft. Microsoft has recently moved to refocus itself on devices and services. This move advances that goal for the mobile division and Windows Phone. Nokia CEO Stephen Elop will move to Microsoft. Nokia has worked closely with Microsoft on Windows Phone devices since 2011, when the company ditched its troubled Symbian platform. Competing mobile OS makers Apple and BlackBerry have always made their own hardware. Google purchased Motorola in 2012 to shore up its Android strategy. The Microsoft-Nokia deal is expected to close in the first quarter of 2014 an is subject to shareholders and regulatory approval.